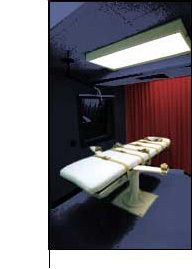 I assumed that our decision would bring the debate about lethal injection as a method of execution to a close. It now seems clear that it will not. The question whether a similar three-drug protocol may be used in other States remains open, and may well be answered differently in a future case on the basis of a more complete record. Instead of ending the controversy, I am now convinced that this case will generate debate not only about the constitutionality of the three-drug protocol, and specifically about the justification for the use of the paralytic agent, pancuronium bromide, but also about the justification for the death penalty itself. Baze v. Rees (2008) U.S. Supreme Court (Stevens, J., concurring). All states and the federal government use lethal injection as their primary method of execution. States use a variety of protocols using one, two, or three drugs. The three-drug protocol uses an anesthetic or sedative, typically followed by pancuronium bromide to paralyze the inmate and potassium chloride to stop the inmate's heart. The one or two-drug protocols typically use a lethal dose of an anesthetic or sedative. STATEMENT FROM THE MISSOURI SOCIETY OF ANESTHESIOLOGISTS on the use of propofol in executions (September 26, 2013). STATEMENT FROM HIKMA, maker of phenobarbital, announcing measures to keep their drug from being used in executions. (May 15, 2013). STATEMENT FROM FRESENIUS KABI, maker of propofol, announcing measures to keep their drug from being used in executions. Read the full article from the Associated Press (September 28, 2012). STATEMENT FROM 25 PROMINENT EUROPEAN DOCTORS in an open letter to Hospira's President Michael Ball, asking him to restrict distribution of pancuronium bromide, a muscle relaxant that is used as the 2nd drug in many lethal injections. (Jan. 7, 2012). Legally Indefensible: Requiring Death Row Prisoners to Prove Available Execution Alternatives, Megan McCracken, The Champion (January/February 2017). Through the Glass Darkly: What Oklahoma's Lethal Injection Regime Tells Us about Secrecy, Incompetence, Disregard and Experimentation Nationwide, Megan McCracken and Jennifer Moreno, ABA Human Rights Magazine (2016-2017 Vol. 42). American Bar Association Resolution 108B calling for all death penalty jurisdictions "to promulgate execution protocols in an open and transparent manner and require public review and comment prior to final adoption of any execution protocol, and require disclosure to the public by all relevant agencies of all relevant information regarding execution procedures." (February 9, 2015). But Can it Be Fixed? A Look at Constitutional Challenges to Lethal Injection Executions, Ellen Kreizberg and David Richter, Santa Clara University School of Law, Legal Studies Research Papers Series, Working Paper No. 07-28 (June 2007); 47 Santa Clara L. Rev. 445 (2007). The Lethal Injection Quandary: How Medicine Has Dismantled the Death Penalty, Deborah Denno, Fordham Legal Studies Research Paper No. 983732 (May 1, 2007); 76 Fordham L. Rev. 49 (2007). The Chaos Behind California Executions, Henry Weinstein and Maura Dolan, L.A. Times, Oct. 2, 2006 (hearings in California on lethal injections). Lethal Incompetence, Ty Alper (Boalt School of Law), The Champion, Sept.-Oct. 2006. Finding Bickel Gold in a Hill of Beans, Douglas Berman, Cato Supreme Court Review, 2006 (on the legal ramifications of Hill v. Crosby). The physician had never attempted femoral vein access with a 11⁄4 inch needle/catheter; however, it was the longest DOC had readily available. An additional central venous catheterization kit was available, but the physician did not think about utilizing one for femoral access. The physician approached Lockett and indicated to Warden Trammell that something was wrong. He looked under the sheet and recognized the IV had infiltrated. At this same time, Warden Trammell viewed what appeared to be a clear liquid and blood on Lockett’s skin in the groin area. The physician observed an area of swelling underneath the skin and described it as smaller than a tennis ball, but larger than a golf ball. The physician believed the swelling would have been noticeable if the access point had been viewed during the process. Warden Trammell and Director Patton both acknowledged the training DOC personnel received prior to the execution was inadequate. Warden Trammell stated the only training she received was on-the-job training and that DOC had no formalized training procedures or processes concerning the duties of each specific position’s responsibility. The warden and director both indicated DOC had no training protocols or contingency plans on how to proceed with an execution if complications occur during the process. General Counsel Mullins further told Director Patton that they would begin preparing a stay at the direction of the Governor. Lockett died prior to the order for a stay being relayed to the personnel inside the execution chamber. There was conversation inside the chamber about administering life-saving measures to Lockett, including transporting him to the emergency room, but no order was given. Ruling by the U.S. Court of Appeals for the District of Columbia Circuit, finding that the FDA failed to fulfill its duties when it allowed, without inspection, the importation of sodium thiopental for use in executions (Cook v. FDA, July 23, 2013, affirming in part Beaty v. FDA (below)). Read DPIC posting. 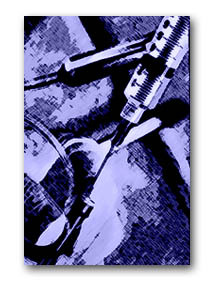 Beaty v. FDA, United States District Court for the District of Columbia, March 27, 2012. Read DPIC posting on the case. Response from attorneys who filed suit against the FDA to the letter from the state AGs to Eric Holder (Feb. 16, 2011). On March 15, 2019, a Nebraska federal district court ruled that the state Department of Correctional Services must disclose documents relating to how it obtained the fentanyl it used in the August 2018 execution of Carey Dean Moore. The order was issued in connection with efforts by Arkansas death-row prisoners to show that fentanyl was available as an alternative to lethal-injection executions using midazolam. On December 1, 2019, a Texas federal district court denied Joseph Garcia’s request to stay his execution based on new revelations that a compounding pharmacy supplying lethal-injection drugs to the state was on probation as the result of serious health and safety violations. On November 29, 2018, an Indiana trial court ruled that in spite of a new state secrecy law, the state must release pre-2017 records concerning the drugs obtained by the state for executions and the companies that produced them. On October 8, 2018, the Tennessee Supreme Court affirmed a trial court’s dismissal of death-row prisoners’ challenge to the state’s lethal-injection protocol. The majority opinion was based on the prisoners’ inability to show that the state had a readily available alternative method of execution. On August 22, 2018, a Texas federal judge blocked Arkansas death-row prisoners from obtaining information relating to Texas's execution protocol, including the identity of the supplier of the compounded pentobarbital the state currently uses in executions. The prisoners had sought the information in connection with their challenge to Arkansas's lethal injection protocol, as part of the obligation imposed upon them by the U.S. Supreme Court to identify an available alternative method to carry out their executions. On July 27, 2018, a Mississippi federal district court stayed a lethal-injection trial until after the U.S. Supreme Court issues a ruling in Bucklew v. Precythe, No. 17-8151, which involves a Missouri prisoner's proposal of using nitrogen gas instead of lethal injection. On July 26, 2018, after holding a trial, Davidson County (Tennessee) Chancery Court denied death-row prisoners' challenge to the constitutionality of the state's lethal-injection protocol. Although the court found that the state's use of the sedative midazolam risks the prisoner “be[ing] able to feel pain from the administration of the second and third drugs,” it denied relief, saying the prisoners had not proven that the use of midazolam created "an objectively intolerable risk of harm" or that a less painful alternative drug was available. On July 16, 2018, a Louisiana federal district court extended the stay on Louisiana executions for one year while a challenge to the state’s lethal injection protocols continues. On July 11, 2018, a Nevada District Court issued a temporary restraining order against the Nevada Department of Corrections that barred the state from using midazalom manufactured by the drug company Alvogen in the scheduled execution of Scott Dozier. The court also stayed Dozier's execution, which would have been the first in Nevada in more than a decade. On July 3, 2018, Nevada publicly released its most recent lethal-injection protocol, which uses the drugs midazolam, fentanyl, and cisatracurium. If Nevada had carried out the July 11th scheduled execution of Scott Dozier, it would have been the first state to use this drug combination. On June 18, 2018, a Lancaster (Nebraska) County District Court ruled that the state must disclose its lethal-injection drug supplier, siding with the Omaha World Herald, the Lincoln Journal Star, and ACLU of Nebraska, who filed a public records lawsuit to obtain the information. The Nebraska Attorney General is appealing the decision. On June 1, 2018, the Texas Supreme Court denied the State's request to overturn the lower court's decision requiring that the Texas Department of Criminal Justice reveal the source of its lethal-injection drugs. On May 30, 2018, Alabama federal district court Judge Karon Owen Bowdre ordered the Alabama Department of Corrections to release its lethal-injection protocol and unseal transcripts and pleadings related to the failed execution of Doyle Hamm. In her May 30, 2018 order, the Chief Judge of the United States District Court for the Northern District of Alabama said "how Alabama carries out its executions" is "a matter of great public concern," and ruled that the public's "common law right of access to the sealed records relating to Alabama’s lethal injection protocol" outweighed arguments to keep the records secret. On May 10, 2018, without addressing the merits of the underlying challenge to Nevada's lethal-injection protocol, the Nevada Supreme Court vacated the lower court's decision that blocked the state from using a paralytic in combination with fentanyl in Scott Dozier's execution after the lower court found the paralytic could produce air hunger and mask signs of consciousness. Lawyer's acting on behalf of Dozier had filed the lawsuit under state post-conviction proceedings, but the Nevada Supreme Court found that was the improper vehicle to raise such a challenge. On April 30, 2018, the U.S. Supreme Court granted review Bucklew v. Precythe, a case brought by Missouri death-row prisoner Russell Bucklew who has a rare congenital disease that causes blood-filled tumors in his head, neck, and throat, which can easily rupture. Bucklew has argued that if the state executes him via lethal injection, there is a risk that his tumors will erupt and cause unnecessary pain and risk of suffocation in violation of the Eighth Amendment. Read more about the case here. On March 27, 2018, a California state-court judge lifted a 2012 injunction prohibiting executions because the then-existing statute required the state to comply with administrative procedures, which the court found it failed to do. California changed its statute after a November 2016 referendum, and the state is no longer required to comply with such procedures. On March 22, 2018, Alabama Governor Kay Ivey signed into law a bill that the legislature had approved the previous day that authorizes nitrogen gas as an alternative method of execution that will be used if lethal injection is not available because it has been found unconstitutional or the drugs are not available. Prisoners also have the option of selecting nitrogen gas. On March 20, 2018, the U.S. Supreme Court stayed the execution of Missouri prisoner Russell Bucklew so that it could consider his petition for writ of certiorari that raises questions about his ability to be executed given his medical condition. On March 14, 2018, the Oklahoma Attorney General announced during a press conference that the state planned to develop an execution protocol using nitrogen gas inhalation. A preliminary draft of the new protocol is expected in 90-120 days. On March 6, 2018, the U.S. Court of Appeals for the Eighth Circuit, in a 2-1 decision, rejected the Eighth Amendment lethal-injection challenge of Russell Bucklew, who is scheduled to be executed on March 20. Bucklew has a congenital condition that "causes clumps of weak, malformed blood vessels and tumors to grow in his face, head, neck, and throat" and which impacts his circulatory system. He has argued that lethal injection would result in cruel and unusual punishment, and proposed lethal gas as an alternative method. On February 23, the state of Alabama called off the execution of Doyle Hamm after more than 2 hours. On March 6, Hamm's attorney submitted a report from a medical doctor who examined Hamm three days after the attempted execution. The report showed that Hamm was poked more than 10 times in his feet and in his groin during which time he was in extreme pain, that he was bleeding from his groin, and that his bladder was likely punctured during the procedure as he had blood in his urine shortly afterwards. On February 13, 2018, the Indiana Supreme Court ruled that the Department of Corrections can make changes regarding the drugs to be used in the state's lethal-injection protocol without having to follow the rules under the Administrative Procedures Act, rules which would require—among other things—public comment before the new protocol could take effect. On February 13, 2018, the U.S. Court of Appeals for the Eleventh Circuit vacated the stay of execution entered by the federal district court in Doyle Hamm's case. The Court, however, ordered an emergency examination of Hamm to help assess whether his medical condition would make Alabama's proposed manner of executing him cruel and unusual, and required the district court to enter fact findings on the case by 5pm CST on February 20—two days before Hamm's scheduled execution. On February 6, 2018, a Federal District Court in Alabama issued a stay of execution for Doyle Hamm to allow further proceedings regarding his medical condition (compromised peripheral veins, untreated lymphoma, and lymphadenopathy) and its impact on the state's ability to carry out an execution using intravenous drugs. On January 5, 2018, a Federal District Court in Louisiana extended indefinitely an existing court order blocking executions in the state while lethal-injection litigation is pending. On November 2, 2017, the Arkansas Supreme Court held that the state statute governing confidentiality in executions requires public disclosure of the manufacturer of the drugs to be used in lethal injection. On October 5, 2017, a Federal District Court in Alabama granted Jeffrey Borden a stay of execution, and the state did not appeal the decision. On October 4, 2017, the U.S. Supreme Court vacated the stay of execution for Jeffrey Borden. On September 29, 2017, the U.S. Court of Appeals for Eleventh Circuit issued an injunction prohibiting the State from carrying out the October 5th scheduled execution of Alabama death-row prisoner Jeffrey Borden, while on the same day denied the request for an injunction by Alabama death-row prisoner Torrey McNabb, who has an execution day of October 19. The Court noted that McNabb had time to seek an injunction first in the district court, whereas Borden did not. On September 8, 2017, after an evidentiary hearing held on September 6, a Federal Magistrate Judge in Ohio denied a motion for preliminary injunction filed by death-row prisoner Gary Otte, who argued that the state's execution procedures created an unconstitutional risk of pain and suffering. Otte was executed on September 13. On September 6, 2017, the U.S. Court of Appeals for Eleventh Circuit issued another ruling in favor of several other Alabama death-row prisoners whose civil-rights lawsuit challenging the state's use of midazolam in a three-drug protocol was dismissed by the lower court. Relying in part on the reasoning from its September 1, the same three-judge panel sent the case back to the lower court to conduct additional proceedings. Two of the prisoners in this lawsuit, Jeffrey Borden and Torrey McNabb, have executions scheduled in October, and their attorney has asked the Alabama Supreme Court to vacate their execution dates in light of the ruling. On September 1, 2017, the U.S. Court of Appeals for Eleventh Circuit ruled in favor of Alabama death-row prisoners who brought a civil-rights lawsuit challenging the state's use of midazolam in a three-drug protocol. The lower court had granted relief to the Alabama Department of Corrections, but the Eleventh Circuit reversed that decision with instructions for the trial court to conduct further fact-finding in the case. On August 21, 2017, Janssen (a division of Johnson & Johnson)—the inventor of etomidate (a drug that Florida intends to use for the first time in a lethal injection on August 24)—said that it does not "condone the use of [its] medicines in lethal injections for capital punishment." On August 17, 2017, Nevada announced that it would use three new drugs (diazepam, fentanyl, and cisatracurium) in the upcoming scheduled execution of Scott Dozier. On July 25, the Supreme Court denied certiorari for Phillips, Tibbets, and Otte, with Justice Sotomayor (joined by Ginsburg) dissenting "from th[e] Court’s failure to step in when significant issues of life and death are present." On July 17, 2017, Ohio death-row prisoners Ronald Phillips, Raymond Tibbets, and Gary Otte asked the Supreme Court to grant certiorari and review the Sixth Circuit's en banc decision reversing the preliminary injunction that was entered by the district court based on allegations regarding the unconstitutionality of the lethal-injection protocol. On July 24, 2017, Fifteen Professors of Pharmacology filed an amicus brief in support of certiorari, explaining why the drug midazolam, which Ohio plans to use in its three-drug protocol, is inappropriate for the State's intended purpose. On June 28, 2017, the Sixth Circuit Court of Appeals sitting en banc reversed the lower court's issuance of a preliminary injunction regarding Ohio's proposed lethal-injection protocol, for three prisoners with upcoming execution dates (Ronald Phillips, Raymond Tibbets, and Gary Otte). On May 30, 2017, the Arizona Department of Corrections removed a three-drug formula from its lethal-injection protocol. The protocol now allows a one-drug formula using either pentobarbital or sodium thiopental. On April 15, 2017, a federal district court in Arkansas granted a preliminary injunction to prisoners scheduled for executions in the next two weeks, finding that they were likely to succeed on the merits of their Eighth Amendment claim and their denial of access to counsel and the courts claim. On April 6, 2017, the Sixth Circuit Court of Appeals affirmed the lower court's issuance of a preliminary injunction regarding Ohio's proposed lethal-injection protocol, for three prisoners with upcoming execution dates (Ronald Phillips, Raymond Tibbets, and Gary Otte). Tennessee Supreme Court upheld the state's lethal-injection protocol on 3/29/17, but the state says it does not have any lethal-injection drugs. The U.S. Court of Appeals for the Sixth Circuit heard oral argument on 3/7/17, regarding Ohio's proposed lethal-injection protocol, which uses the controversial drug midazolam as the first drug. On February 21, 2017, the U.S. Supreme Court denied review in Alabama death-row prisoner Thomas Arthur’s lethal-injection challenge, a decision that came with an 18-page dissent by Justice Sotomayor (joined by Justice Breyer). On July 7, 2015, a Tennessee court began reviewing the state's lethal injection protocol. (Tennessean, 7/5/15). On June 29, 2015, the U.S. Supreme Court refused (5-4) to block Oklahoma's use of midazolam in executions. See Glossip v. Gross. Oklahoma's governor signed legislation on April 17, 2015, allowing use of nitrogen gas for executions if lethal injection drugs cannot be obtained or if that method is struck down by the courts. Two other states have recently passed similar legislation. (Tenn.-electrocution; Utah-firing squad). (Wash. Post, 4/17/15).